Robert G. (Bob) Rubin graduated from Emory University in 1982 and from Emory University School of Law in 1986. For more than 30 years, Bob has defended people accused of crimes in State and Federal Court and both prosecuted and defended licensed professionals before the State Licensing Boards. Bob began his career as a Fulton County Public Defender before moving to the Georgia Attorney General’s Office where he represented the State Licensing Boards and prosecuted licensed professionals accused of unprofessional conduct. In 1991 Bob entered private practice emphasizing criminal defense while also working as a Special Assistant Attorney General prosecuting cases before the State Medical Board. Bob has represented defendants in a wide variety of criminal cases, including high-profile clients in the “Dunwoody Daycare Murder” case, and the RICO prosecution of a principal in the Atlanta Public Schools (“APS”) cheating scandal. The APS case resulted in a 7-month trial–the longest criminal trial in Georgia history. In addition to defending people accused of crimes and regulatory offenses, Bob is extensively involved in the Georgia Association of Criminal Defense Lawyers, having serving as President in 2016. Bob has also served as Chairman of the Lawyers Assistance Committee, helping lawyers charged with contempt. Bob shares his experience with the legal community as a longtime adjunct professor of Advanced Criminal Trial Advocacy and Examination of Expert Witnesses at Emory University School of Law, a position he has held since 1993. He is also on faculty at the Bill Daniel Trial Advocacy Program and a frequent lecturer at seminars both nationally and throughout the State of Georgia. Currently, Bob is leading a team of seven other lawyers working with the U.S. State Department in the Republic of Georgia to help teach trial lawyers in the Republic of Georgia how to try cases before a jury. A lifetime of superb advocacy resulted in Bob’s induction into the prestigious American College of Trial Lawyers and American Board of Criminal Lawyers in 2015. 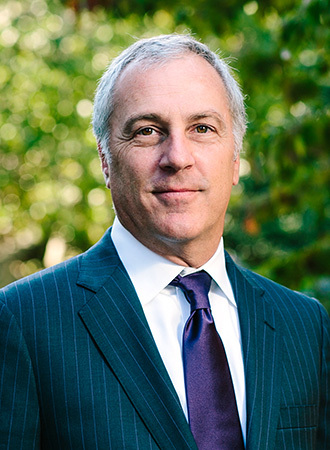 Bob has repeatedly been named a Super Lawyer in Georgia since 2010 and was named a Top Lawyer in White Collar Crime in 2013. Additionally, Bob has been named one of Georgia’s Legal Elite by Georgia Trend Magazine and one of the Ten Leaders in Criminal Law by the Ten Leaders Cooperative.